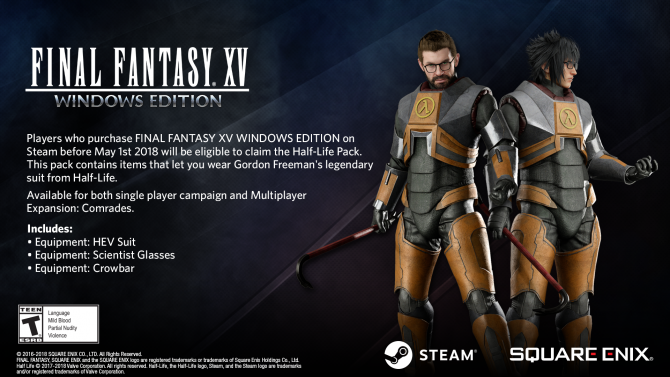 Final Fantasy XV Windows Edition is far from perfect but provides PC owners a chance to experience this critically-acclaimed title, almost two years later. 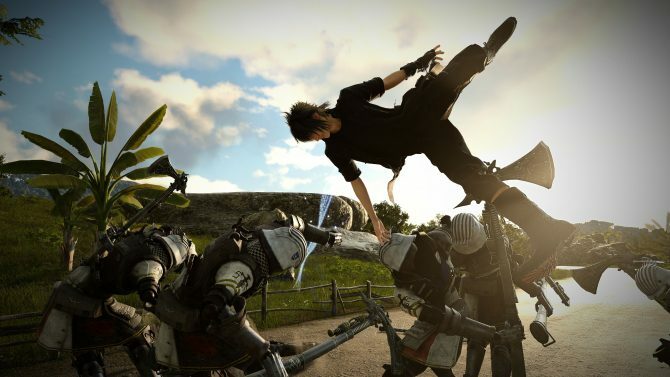 For nearly a year and a half, Square Enix’s Final Fantasy XV has been a console exclusive for the PlayStation 4 and Xbox One. Although I have played both versions of this game, I have always been anxiously waiting for this game to be ported over to PC, so when the game was announced to be launching this month with some new content, it peaked my interested even more. Of course, this by no means is a review of Final Fantasy XV Windows Edition. So if you are looking to read a full review of the game, I highly recommend you check out our review first and then come back to this article as this piece will solely be focusing on what you can expect from the PC port of the game. Looking at the game from a critical standpoint after almost two years since its initial release, the game still holds up as a fantastic title worthy of all the accolades it has received since its launch. That being said, while the game is undoubtedly a work of art, it does have its fair share of problems that don’t necessarily hold back the game per se but are nonetheless hiccups that can be frustrating at times. Load times in Final Fantasy XV are still extremely long, even on my mighty gaming rig, the loading times for chapter to chapter take at least a minute and even loading up my save file to continue my adventure is still longer than I would anticipate. This to me is not ideal as those who prefer to fast travel from place to place will experience a lot of loading. Additionally, the contact sensitive actions are still aggravating. I split equal time with both the mouse and keyboard and an Xbox One controller before writing this editorial, and I found both controls are plagued with this. Whether I was trying to pick up an item only for Noctis to jump as well as times during combat when the block action would open up just for the block to not register. Some of the more concerning issues lie within specific side quests; there have been at least two instances when I tried to do a side quest. But the game would not allow me to, as someone who enjoys doing side quests in RPGs, I found this a bit disappointing, and this is exceptionally unacceptable from a technical standpoint considering this game was released almost two years after the original version was available. It doesn’t help the fact when you also keep in mind that the main story is short and can be completed in around 25 hours. Graphically the game is still fantastic, and for obvious reasons, the PC version offers the best visuals for the three versions. Of course, this does not mean that the console versions are inferior, just stating the obvious. That being said as the version that offers the best graphics, it also provides a massive file size with the base game being 75GB and for those that want the High-Resolution Pack to need to be prepared to clear out an additional 65GB on their hard drive. When I first downloaded the game, I spent a quite a bit of time playing the game without the high-res textures as well as time with them added on. You do not need the high-quality assets; it serves more as a cosmetic add-on for those interested, which is convenient for those who have limited storage space. While on the topic of graphics, the second graphical option is Nvidia’s Voxel Accelerated Ambient Occlusion (VXAO for short) is also available and offers rendering and shading technique to calculate how much light is being cast upon any specific scene. Also, there are three other, other Nvidia-specific features (TurfEffects, HairWorks, and ShadowLibs) that offer enhancements to the grass, hair, and shadow textures in the game. From a technical standpoint, there is an abundance of options that allow you to experience this game. In which ways the PlayStation 4 and Xbox One versions can’t; from modifying your framerate, which offers FPS choices in the form of 30, 60, and 120 to control the amount of video memory used by the game. To put it simply, there is a mass amount of customization options when it comes to how you wish the game to run. Unfortunately, my time with the game was plagued by performance issues, with framerate drops to jerkiness. On top of that, I have experienced ten hard crashes thus far. As mentioned earlier my PC rig is powerful, so the fact that has had numerous problems when running the game is baffling. So, to avoid further issues, I tried experimenting with the graphical options and was able to run the game with a consistent (50-60ish) frames per second at 1080p as well as a 4K experience with 30FPS. 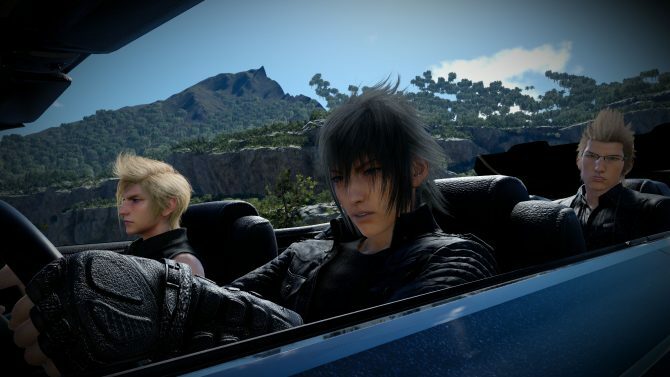 Final Fantasy XV Windows Edition is by no means a simple port of the game. However, there is more than enough new editions that make this game standout. One of the more welcoming additions to the game includes the ability to use mods and seeing as the game has been out for less than a month it is only a matter of time before the modding community offers a smorgasbord of mods. 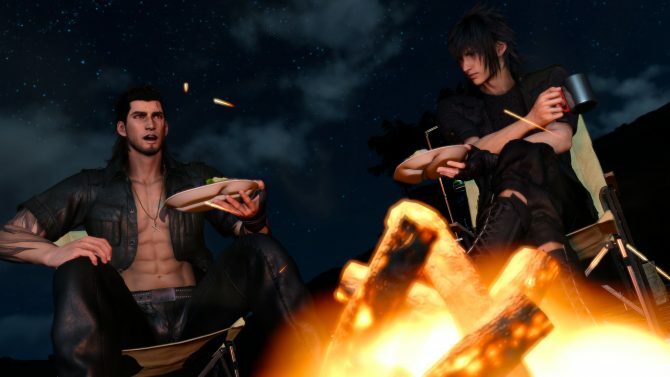 More often than not, mods in a game help increase the replayability of a video game, but even without modding your game, Final Fantasy XV Windows Edition has more than enough content that will have you coming back for more. 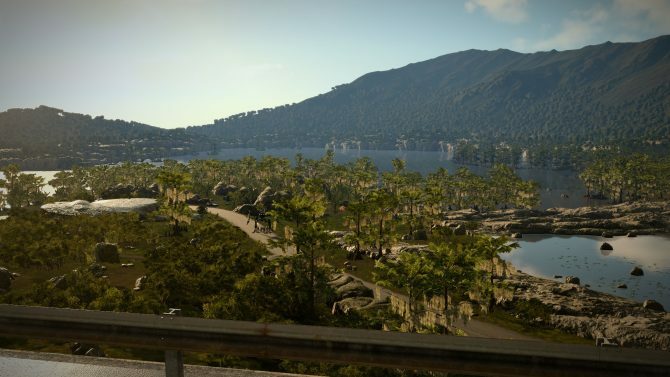 For instance, the in-game world has been expanded; As previously stated, I did play Final Fantasy XV at launch when it came out on consoles, but you cannot deny that towards the final act of the game it felt a bit…incomplete. Don’t get me wrong, the in-game world was massive, and it was a technical achievement back then, but Windows Edition offers more goodies into the world that will keep you busy for at least months. One notable location that has been expanded upon are the ruins of Insomnia with new side-quests to tackle along with boss fights with Cerberus, Omega, and the Rulers of Yore. 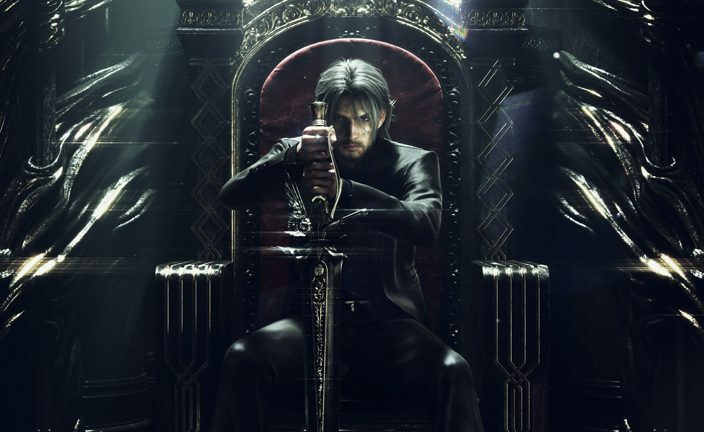 Not to mention that you can place yourself in the perspective of Noctis Lucis Caelum by playing Windows Edition thanks to the first-person mode. Ideally, this is perfect for those who play with a mouse and keyboard control, but it is playable with a game controller as well. Even if you do not want to use this option, the first-person mode does offer the ability to pop un for a closer look into the world, allowing you to fully immerse yourself into Eos (plus its great for those that wanna snap a couple of screenshots too). As a bonus, PC players were also rewarded for their patience by receiving all the post-launch content previously released. Which consists of Episode Gladiolus, Episode Ignis, Episode Prompto, and the Comrades multiplayer expansion. 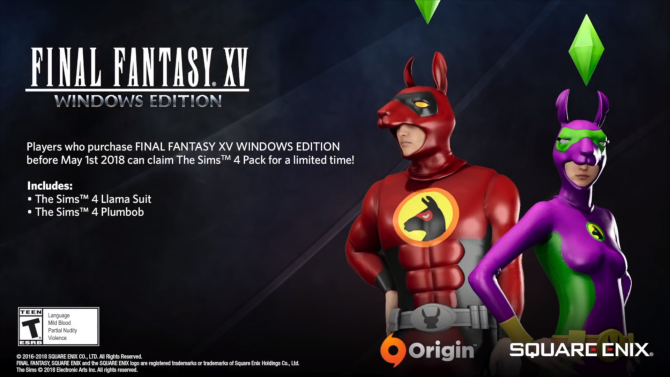 Windows Edition also carries over additional weapons, car skins for the Regalia and items sets that were previously available for those that bought the game’s Season Pass. Although not everyone is into the cosmetic things, I found these aforementioned additions to the game were excellent and made the value price tag worth much more than its current purchase price with even more content coming soon. To sum up everything, Final Fantasy XV Windows Edition is not perfect (because there is no such thing as a perfect game). 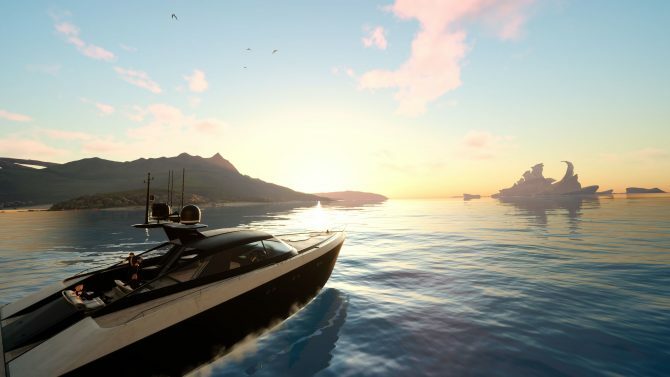 However, Windows Edition is a fantastic port worthy of the Final Fantasy XV legacy and provides a substantial experience for PC gamers who have yet to experience this beautiful game. While its flaws are noticeable, I would be lying if I said I did not have a good time playing this version of Final Fnasty XV.